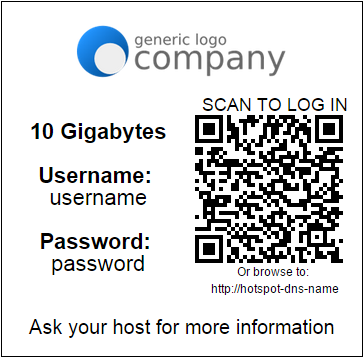 Add a QR code login to your hotspot vouchers with the following template. Free for commercial use! 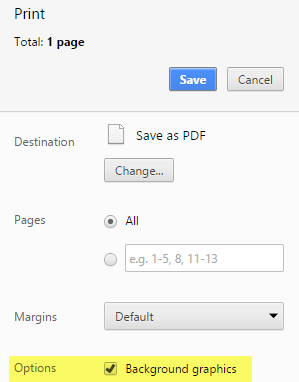 Open the "User Manager" interface in your browser. Make sure you update the IP to reflect your Hotspot IP, and point it to a valid logo image. Logo dimensions in my example are 437px wide by 71px high. Let me know if you have any suggestions in the comments! How to use this voucher template on 2 hotspot server integrated with radius? 1 Router have User Manager and the other is doesn't have user manager but they have hotspot server. I want user can use the voucher to login on both hotspot server. and let me know how it goes? how did you fix your problem with appear the qr code????? I have honestly never tried it. Is your idea to send the qr code to a client using whatsapp? Hola buenas noches estoy utlizando su codigo todo lo demas me carga en plantilla menos el qr que me hace falta pra lograr visualizar el QR? I need to do it then appears the image of the QR ? No sir u do not understand me?? Hello such as changing the logo of the voucher , if I can do as I say ...... thank you very much ! Heloo Abdulah, how you can fix your problem about appear QR Code ? because i can't appear the qr code. Or you change the script ? Sorry, I have fixed my problem with QR Code on Mikrotik. And in order to you can scan qr code and direct connect to login, on mikrotik you can seting IP --> Hotspot, On Server Profiles Tab, choose and click your server profile that you use, then at the Login Tab, you checklist HTTP PAP option. Yes your solution works in terms of generating the QR code and appearing on the page for printing, but the QR code is not being scanned (read) by any application (Specifically I used "QR & Barcode Scanner" and "Barcode Scanner" from Play Store). But 2 or 3 times after scanning for more than 30 Seconds I got the code recognised, which is really unusual and impractical for general users. Jurgens Krause and you have done a great job here. Now if you get the time for checking the last status of these codes outcome, then that would be even great for rest of us. why the QR code cand read it with any QR CODE SCANNER? tried using tha code above still QR and logo doesnt show up btw where do i put the logo in the router or web hosted? Please do let me know if its ok to include a modified version of this code. how to center the qr code? First of all thank you, that is very educative! But I'm having a issue i get modified my voucher template, perfonalized with image and text and all is working and the QR is recognized but the password is not accepted by the hotspot becuse it is not chap encrypted, could you please help me?